Bologna, 2 maggio 2010 – Come di consueto anche quest’anno la palestra Furla era gremita in ogni “ordine di posti” per la finalissima del Torneo Daimiloptu – Gioca chi ospita. La palla a due è stata alzata alle 16.30. A contendersi il titolo la Fortitudo Bologna, detentrice del trofeo, e l’ OKK Krusevac, formazione serba. Alla fine hanno avuto la meglio proprio i serbi che portano a casa la coppa più ambita dopo una gara estremamente combattuta e dall’intensità altissima. I parziali dei quarti, 17 – 16; 35 – 35; 55 – 54, mostrano da soli l’estremo equilibrio della partita, il cui punteggio finale è stato 71 – 80. La squadra bolognese è stata trascinata da due ottimi Basile e Ghiacci, mentre la serba dal talento di Djordje Simeunovic e di Ognjen Grubisic: 50 punti in due. 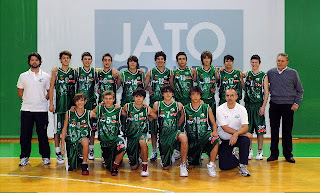 Terzo posto per i ragazzi croati della scuola di Drazen Petrovic, che nella finale per il 3° - 4° posto hanno battuto bosniaci del Capljna – Lasta. Come MVP del torneo (premio offerto dall’ASCOM) è stato premiato Djordje Simeunovic numero 13 della squadra vincitrice. Miglior giovane promessa Ivan Bender della Capljna Lasta (una curiosità: l’anno scorso lo stesso premio era stato vinto dal fratello Dragan). La gara del tiro da tre punti (Coppa Carrauto) è stata vinta da Niccolò Basile della Fortitudo Bologna, autore di un buon torneo. Il Premio Ospitalità (uno dei più significativi del torneo visto lo spirito che anima il Daimiloptu), offerto da ASCOM Bologna, è andato alla Pontevecchio. È stato consegnato anche il premio al miglior arbitro, consegnato a Giovanni Viteritti, uno dei due arbitri della finalissima. 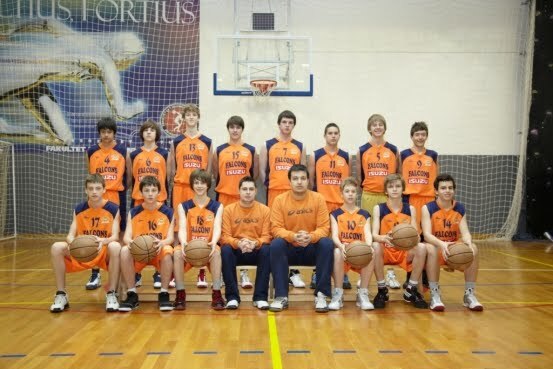 FINALE 1°- 2° POSTO: FORTITUDO – OKK KRUSEVAC 71 – 80 FortitudoBertoncello, Basile 17, Secchi, Meyer, Ventura S. 2, Ventura A. 5 , Casali 13, Guidi, Consolo, Foraboschi 14, Ghiacci 11, Pedroni 7, Gnan Marc 4, Corbelli. OKK KrisevacSpasojevic, Stevanovic 2, Grcak 6, Arsic, Nikolic, Krasic 11, Vujatuvic, Veljkovic 9, Dimitrijevic, Simeunovic 26, Stojanovic, Grubisic 24. Fireworks for Radnicki at the start of the game witha perfect offense that creates a 31 points quarter for the Serbian boys. Marko Bilbija is the top scorer in the first ten minutes with 9 points and after 10' the score is 19-31. But it doesn't last long as Capljina totally dominates the second quarter (26-8) and takes the lead that will not leave until the end of the game. Karamatic ends the game with 26 points and the Bosnian team finishes with a strong 81-66 win gaining access to the semi-finals. 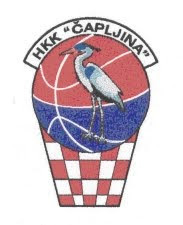 HKK Capljina: Vrankic, Jelcic, Jutalo, Juri3, Juric 4, Jurkovic 5, Knezevic 5, Bender D., Milanovic, Bender I. 16, Maslac 19, Karamatic 26, Jakisa. All. Jelcic. KK Radnicki: Krsmanovic 10, Todorovic 5, Jokovic 7, Bilbija 17, Asanin 6, Ivanovic, Sarenac, Stevanovic, Tanasijevic 18, Galjiak 2, Jovanovic 1, Vuksanovic. All. Djokovic. Interesting game that means access to the semifinals among two strong teams from Croatia and Bosnia. Sibenik plays with its usual full court press defense and fastbreak offense, but they commit a lot of errors on easy shots and Tuzla, with its more controlled tempo, stays close lead by its point guard Omerovic. The final result is decided in the last 10' of play, when Sibenik takes a strong lead with an 18-4 effort that gives the Croatians the win and a chance to play for the semi-finals on Saturday. 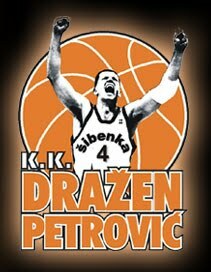 KK D. Petrovic Sibenik: Bilic 2, Kandido, Bilac 6, Vudrag 2, Spanja 8, Zubak 2, Gulam 6, Skoric 9, Paic, Aleksic 8, Cicin Sain 5, Bacic 10. All. Muljev. 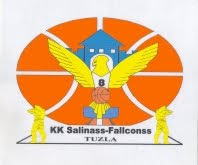 Falcons Tuzla: Salkovic 4, Delic, Gazibegovic, Jusufovic 4, Omerovic 11, Ismailovski 1, Disdarevic 10, Djetovic, Mujanovic, Zulic 4, Hadzigramic 2, Stipanovic 8. All. Music. Two teams from Bologna play each other in the only"derby" of the day. Fortitudo takes an early lead pushed by Foraboschi and ends the first quarter up by 15 (24-9). Pontevecchio plays a strong second quarter but that's not enough to close the gap. At half-time the score is 37-20. Foraboschi on one side and Manneschi on the other keep on scoring in the second half where Fortitudo keeps on running and the final score is 83-35. Pontevecchio: Marsigli 3, Patuelli 4, Di Marco 1, Reggiani, Frascari 2, Manneschi 11, Cuevas Beejay 2, Clari 2, Marcantonio 4, Stefanelli 4, Schippa, Conte. All. Tiburtini. 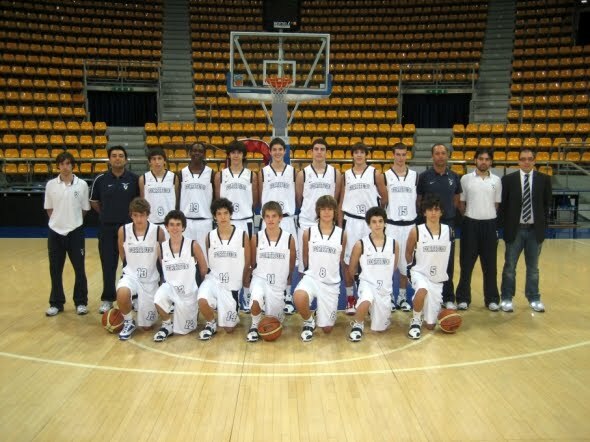 On paper there should be no match with the Serbian team taller, stronger and faster than the young eagles. On the floor that's not the case as the game starts with a quick jump ahead by Gemelli's boys that lead after ten minutes by 7 points (14-21). Giacometti and his teammates keep on playing strong against a more talented opposition and at the break they still lead (36-42). The Serbian team, by the way, comes out of the locker room with a very different attitude and in five minutes they close the gap and take the lead tha will keep until the final horn. Simeuonovic is unguardable for any Italian defender and the lead increases up to the final +19 (81-62). He will close the game with the best scoring performance of the tournament so far (41 points). OKK Kruscevac: Spasojevic, Stevanovic 2, Grcak 8, Arsic, Nikolic 1, Krasic 8, Vujatovic 3, Veljkovic 5, Dimitrijevic 2, Simeunovic 41, Stojanovic 2, Grubisic 9. All. Vujatovic. 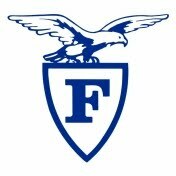 SG Fortitudo: Dalle Donne 1, Bacci 13, Artese 8, De Simone 3, Tonelli, Giacometti 15, Grassi 5, Menzani 13, Nascetti, Lauri, Magliaro, Sasdelli 2, Varotto 2. All. Gemelli. One-way match with BSL leading from start to finish and a subpar perfomance by Radnicki both on offense and defense. No team was playing for first place in their group (that was taken by Capljina) but they played with effort nonetheless. BSL turns out to be more talented and the final results shows it perfectly in the 93-45 win for the Italians. KK Radnicki: Krsmanovic, Todorovic, Jokovic 8, Bilbija, Asanin 11, Ivanovic, Sarenac, Stevanovic, Tanasijevic 21, Galjiak, Jovanovic 4, Vuksanovic. All. Djokovic. Lead by a good perfomance from its point guard Basile, Fortitudo gest the win that means semi-final against Kruscevac on Saturday. Bystrica tries it hard, but a good shooting percentage and a pressing defense from Fortitudo, never allow the Slovakian team to come close to bolognesi. Fortitudo Pallacanestro: Bertoncello 11, Basile 16, Secchi 4, Meyer 12, Ventura 3, Casali 4, Guidi 2, Consolo 7, Foraboschi 12, Sifo 3, Ghiacci, Pedroni. All. Politi. P. Bystrica: Chovanec 2, Zilincik 3, Samek 8, Kostelansky 3, Veliky, Hroncek, Kvasnovsky 3, Tvrdon, Skulavik, Belavy 6, Butko 9. All. Skorvanek. In the last game of the day, Granarolo and Tuzla play for the second position in group C. The first quarter is played with equal effort by both teams and the score is tied (15-15). Tuzla increases its defensive intensity in the second half and its defense creates easy points in transition. After the break Tuzla takes a large lead but Granarolo fights back and with 5' to play the score is +9 for Tuzla. When Omerovic leaves the bench and goes back on the floor, the orange team from Tuzla goes on the fast lane again and the final score is 59-80. 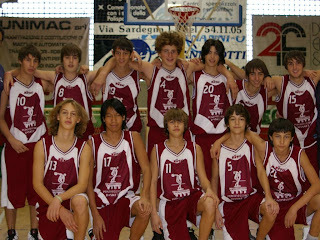 For Granarolo, a distinguished perfomance by Farati (21 pts). Granarolo: Farati 21, Bernaroli, Fava, Zobo, Gualandi 4, Moretti 7, Franchini 2, Gamberini 2, Brotza 9, Gualandi, Poho 5, Argilli. All. Bertusi. Falcons Tuzla: Salkovic 2, Delic, Gazibegovic 2, Jusufovic 9, Omerovic 17, Ismailovski, Disdarevic 5, Djetovic, Mujanovic 17, Zulic 4, Hadzigramic 10, Stipanovic 8. All. Music. The game starts with no team able to take a big lead and after 7 minutes the scores is 12-10 for Bystrica. The Slovakian team can run away before the end of the first quarter thanks to four 3 pt shots and after ten minutes the score is 25-16. The Croatian powerhouse is too much for the young Granarolo team where all players are born in ’96. Not much too say with a Granarolo team that never stop fighting and the talented team from Sibenik that run at every possibile occasion with all five players on the floor. At the end, the score is 21-129 with eight player in double digit in score for Sibenik. First quarter with Capljina always leading thanks to good field goal precision and second and third fractions with BSL more aggressive with its zone press defense. The Bosnian team looks tired by the long bus trip to Bologna, but the start of the last quarter is a big surprise: coach Jelcic team run away with a 9-0 break and never look back. The final score is 64-55 for Capljina. 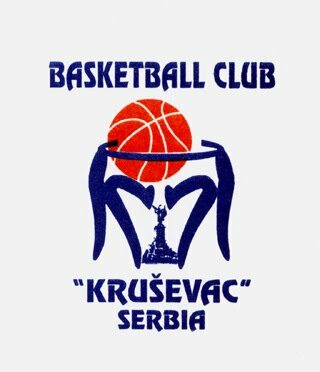 OKK Kruscevac: Spasojevic, Stevanovic 2, Grcak 7, Arsic, Nikolic 9, Krasic 10, Vujatovic 5, Veljkovic 10, Dimitrijevic, Simeunovic 24, Stojanovic 8, Grubisic 8. All. Vujatovic. The second quarter decides the final result of this match played in Paladozza with Kruscevac winning it with a large 7-26 score. All the other quarters are played with equal effort by both teams with Kruscevac more physically imposing and Castiglione Murri quicker and sometimes even more aggressive. 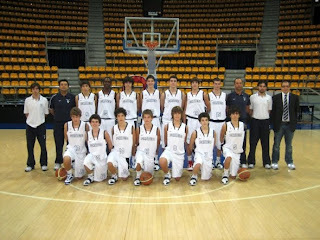 The final result is a +25 for the serbian team (58-83). 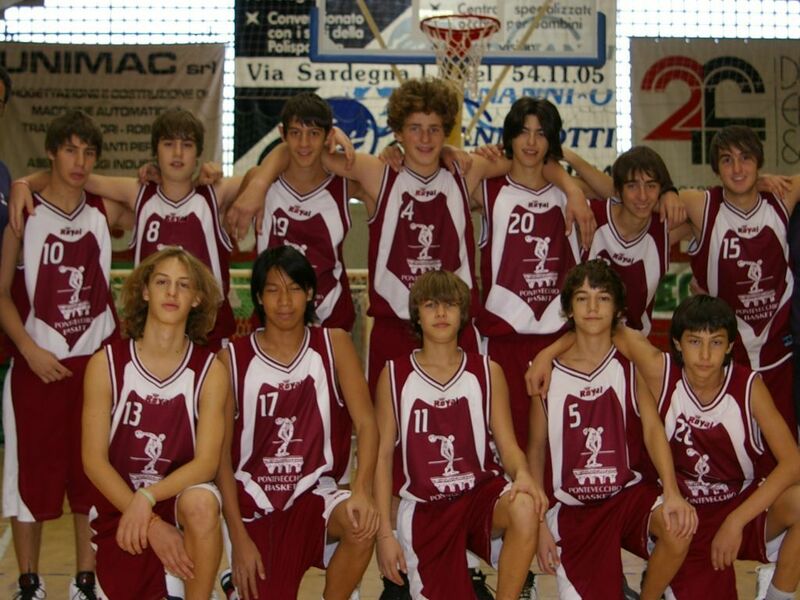 L'Opening Game della VIII edizione del Torneo Daimiloptu ha visto i padroni di casa dell'SG Fortitudo affrontare i coetanei del Castiglione Murri, già partite dai propri paesi tutte le comitive che raggiungeranno Bologna per poi recarsi nelle relative famiglie ospitanti. 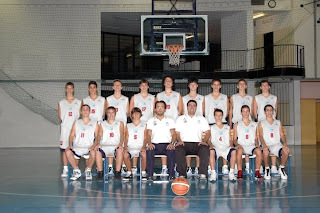 Parte forte la squadra di casa portandosi sull'11-3 ma la reazione ospite non si fa attendere e il primo quarto si chiude sull'11-15. Nel secondo quarto prende il largo il Castiglione trascinato da Grazi e Flamini, l'allungo resta costante fino al terzo quarto; ma è nell'ultimo parziale che grazie alla pressione difensiva e a una grande prova di carattere l'SG arriva fino al meno 3. Sul più bello la fatica si fa sentire e il vantaggio fisico del Castiglione permette di riprendere in mano le redini del match. Una citazione sul clinic di lunedi sera, evento tecnico di elevatissima qualità, grazie agli interventi di coach Markovski sulle collaborazioni offensive e poi di coach Finelli sull'analogo tema difensivo; più di 350 gli allenatori partecipanti sulle stipate gradinate della Furla ma anche seduti per terra a bordi dei 4 lati del campo...Grazie ancora ai due grandissimi coach per la disponibilità e la passione dimostrata sul parquet. Tra le squadre bolognesi segnaliamo sicuramente la Fortitudo di coach Politi e la BSL di coach Rocca che presentano ben 2 nazionali in ciascun roster (Nicolò Basile e Matteo Ghiacci tra le fila dei biancoblu e Alessandro Maccaferri e Matteo Caroli per i sanlazzaresi). 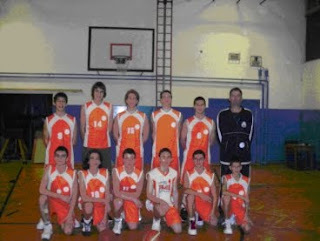 Tra le società straniere, tutte particolarmente specializzate nell'attività giovanile una menzione particolare per la scuola di Drazen Petrovic di Sibenik (Croazia) che torna al nostro torneo dopo la vittoria del 2006, con un gruppo tra le migliori 4 squadre di Croazia; da citare anche la scuola cestistica di Capljina, città natale di Jasmin Repesa, di territorio Bosniaco ma di popolazione croata. Povaska Bystrica si ripresenta per il terzo anno consecutivo dalla repubblica Slovacca dopo la finale dell'anno scorso dove aveva presentato l'MVP del 2009 Simon Krajcovic. 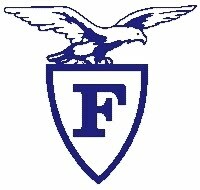 Campioni nel 2008 con un'indimenticabile rimonta in finale, tornano in competizione per il Daimiloptu i Falcons Tuzla del giovanissimo coach Elvir Music. Chiudiamo con le due tradizionali compagini serbe: grande favorita di questa edizione, la formazione proveniente da Krusevac, alla quinta partecipazione al torneo e la storica società di Kragujevac il cui nome Radnicki (che significa lavoratori) rappresenta il profondo legame che la città detiene con l'enorme fabbrica della Zastava (ricordate la Yugo, auto erede della mitica Fiat 127?) ora acquistata completamente dalla Fiat; come dalla prima edizione del 2003 è Coach Djuric (ex giocatore del grande Bosna Sarajevo) a rappresentare il ruolo dello staff director e a mantenere vivo la relazione ormai consolidata tra questa società e la SG Fortitudo. Giovedì 22 aprile 2010 alle ore 12,30 Sede ASCOM Bologna, Palazzo Segni Masetti, Strada Maggiore 23 Sala Blu si terrà la presentazione alla Stampa dell’edizione 2010 del TORNEO INTERNAZIONALE di pallacanestro U15 DAIMILOPTU - Gioca chi ospita, organizzata dalla società S.G. Fortitudo in collaborazione con ASCOM Bologna. New year, new edition, same old "Daimiloptu"
The new edition of the Daimiloptu tournament has finally arrived. From the 29th of April to the 2nd of May, teams made be young players born in 95/96 will face off in the historical venue of Palestra Furla for the 8th edition of this international youth tournament. As in the tradition of the tournament, each Italian player will host in his house a member of a foreign team. 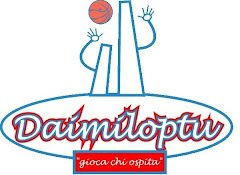 The motto of Daimiloptu is in fact “Gioca chi ospita” (literally, who hosts plays), a slogan that summarizes the desire of Marco Mezzetti, the creator of the tournament, to make Daimiloptu an unforgettable experience for participating kids both on and off the court.